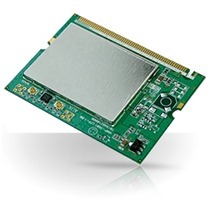 EMP-3602 is a mini-PCI type III B High-Power card supporting 2.4GHz radio operation. It provides high-speed wireless connection with data rate up to 54Mbps and high output power up to 23dBm. The shirking dimension, light weight & lower power consumption design can easily integrate into a wide range of AP/Bridge device. It uses Atheros 5th generation AR5005G chipsets which combines the MAC, baseband processor and 2.4G radio. It is a flexible and cost effective choice for embedded system. For more security application, EMP-3602 supports WPA-TKIP and WPA2-AES and IEEE802.11i. Need EnGenius EMP-3602 Windows 98, ME, 2000 Drivers, refer to Senao NMP-3602 .